A Chevrolet tractor is certainly not something you see every day… or ever, really. 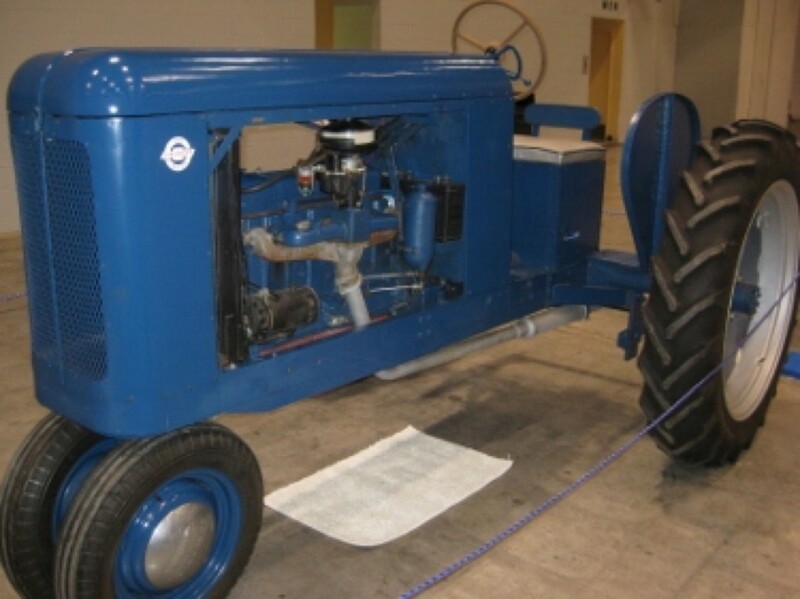 That’s because this tractor prototype is a one-off model built by an actual General Motors engineer named Willie Nutter Jr. Nutter, who was born deaf and mute. He was homeschooled and appeared to be a self-taught mechanical genius. You can tell right off the bad that Nutter is quite proud of the finished product, as evidenced by the custom emblem. 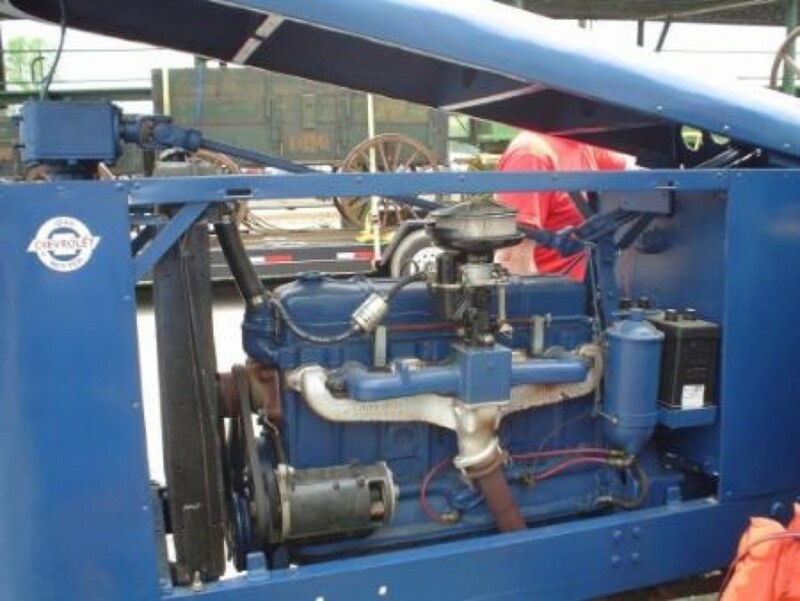 The Chevrolet tractor is a one-of-a-kind prototype, without any PTO, hydraulics, belt pulley, or power lift system of any kind. Here is its story. 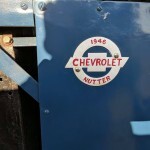 In 1946, Chevrolet sent Willie Nutter Jr. a complete running 1.5-ton truck to use and from which to make a tractor. 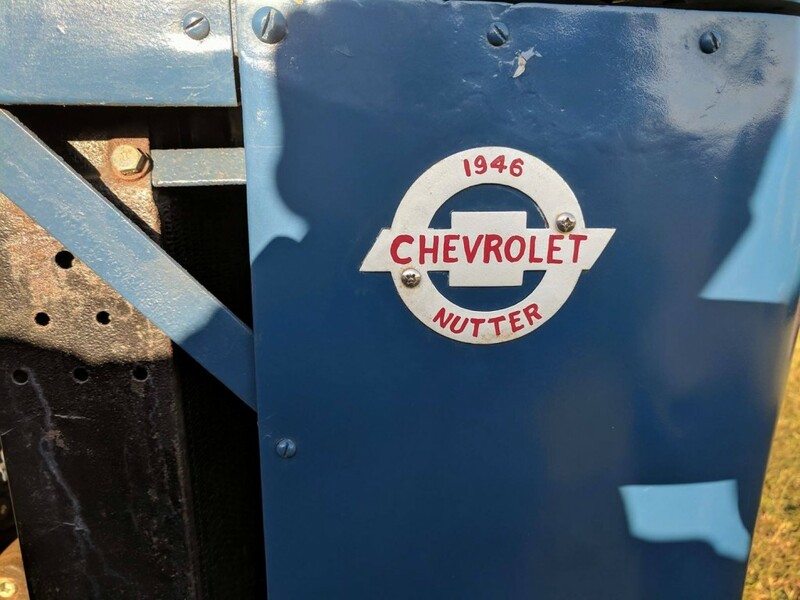 Nutter specifically built the tractor to enable Chevy to compete with the Ford N-Series. 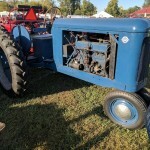 The tractor is outfitted with a Chevrolet 216 cubic inch, straight-six engine, four-speed transmission, and 36-inch tires. 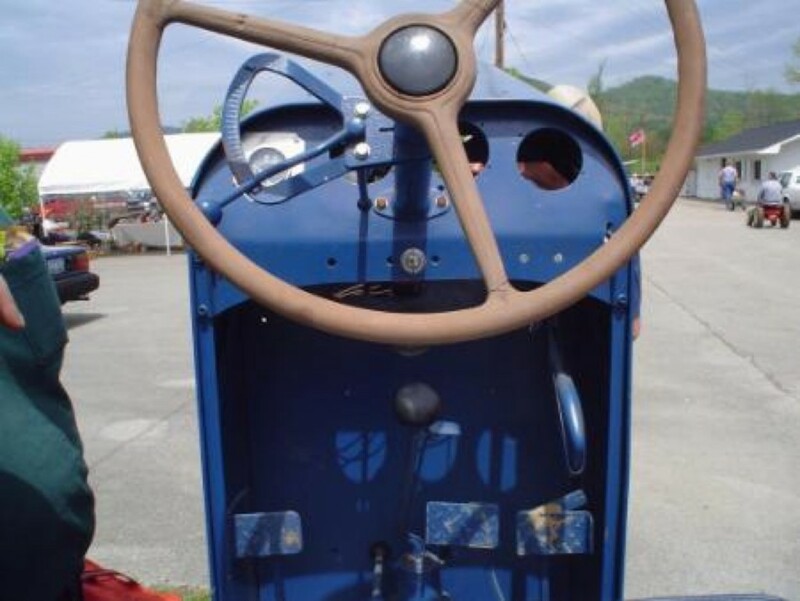 The entire front half of the tractor is the pickup truck, as Nutter’s objective was to try to use as many parts from the Chevy truck for the obvious reason of keeping production costs low. He completed the job in Paris, Kentucky. Unfortunately, General Motors never brought the model to production, mostly as a result of bad timing, given that it was the end of World War II. 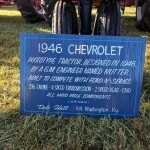 At the time, all Chevy plants were operating at full capacity building cars and trucks around the clock. Some GM plants, mostly those making Buicks, assembled war equipment. 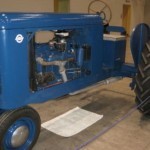 Those circumstances precluded the automaker from dedicating an entire assembly line to a new product such as this Chevrolet tractor. 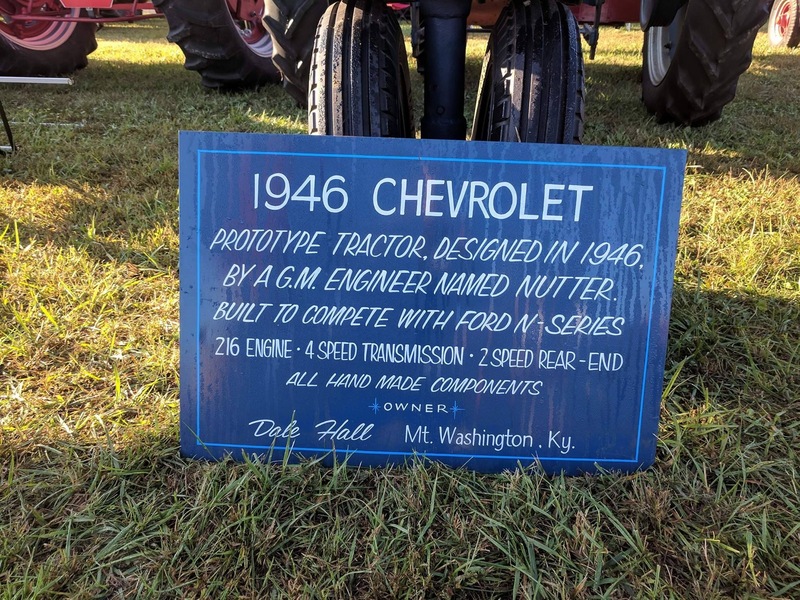 GM allowed Willie Nutter to keep the prototype, and the Nutter family used it on their farm for years thereafter, making for one heck of a real-world product development and testing process. Dale Hall is the current owner of this artifact, which he cares for and displays at several events. The photos in this post were taken by Logan Steele at the 2017 Southern Indiana’s Lanesville Heritage Weekend. How Dale came across this historic tractor is a story in and of itself. The year was 1991, and Dale was in the market for a truck. He answered an ad in the local newspaper about one, but returned home that day with a tractor instead. 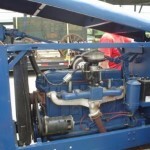 When Hall went to go see the truck, he happened to stumble upon an unusual, old tractor in the barn. Upon asking about the tractor, Hall was told that he could have it. 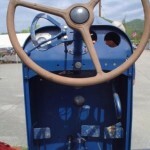 When he took ownership of the Nutter-Chevrolet tractor, the vehicle’s engine block was cracked. As a result, the tractor sat in Dale’s garage for about a decade. A few years later, his wife Marilyn encouraged him to start working on getting it to operating condition. 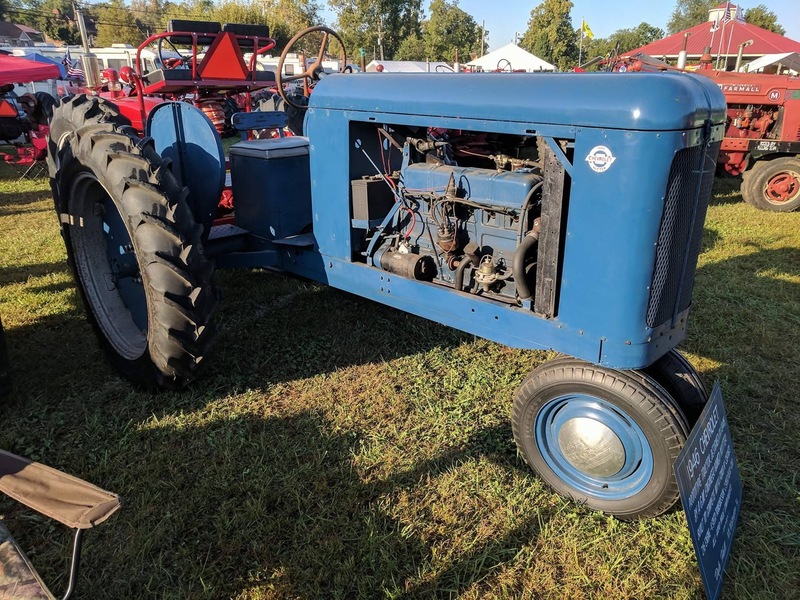 Dale tried his best to restore the tractor as close to its original condition as possible – a project he completed by the winter of 2004. This Chevrolet tractor does not sit by idly anymore: Dale takes it to a few shows a year so that people can learn its history and how it almost became an actual product. This prototype is only one of the tractors that Hall owns. In fact, he has about 20 Farmalls in his possession at home. Very intriguing after rebuilding an 8N a few years ago. That would have been nice with 8 speeds and overhead valves, but definitely could have used a 3-point hitch.